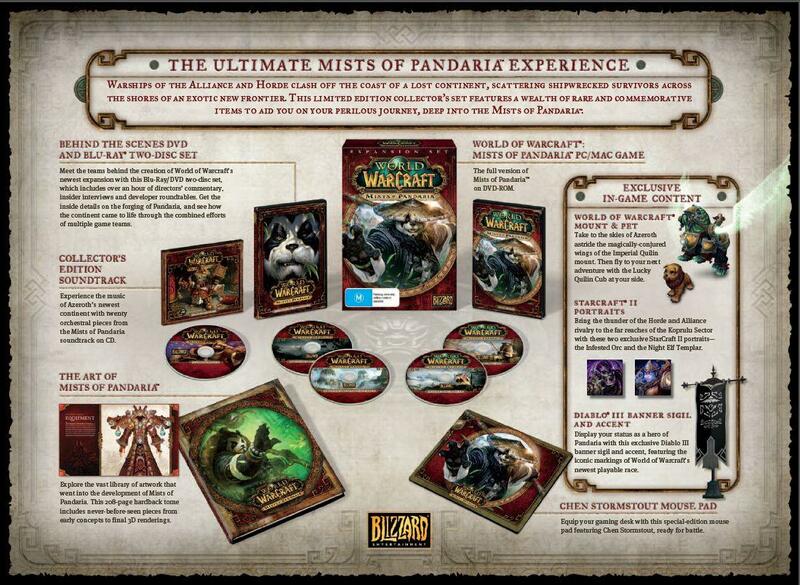 WoW Mist of Pandaria "COLLECTOR'S EDITION"
TERJUAL WoW Mist of Pandaria "COLLECTOR'S EDITION"
Untuk yang baru mau mulai coba main World of Warcraft ataupun memang kolektor yang demen sama barang super rare(langka). 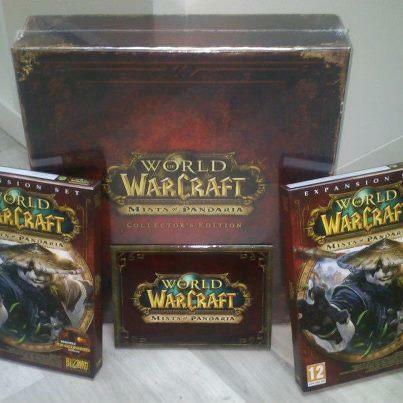 WoW Mist of Pandaria collector's edition ini dikemas super bagus,dengan isi yang memang ga mungkin bisa di dapetin dimana" terutama di Indonesia,kita semua tau untuk cari game pc asli aja susah,apalagi collector's edition. Take to the skies of Azeroth astride the magically-conjured wings of the Imperial Quilen mount. Then, fly to your next adventure with the Lucky Quilen Cub at your side. Display your status as a hero of Pandaria with this exclusive Diablo III banner sigil and accent, featuring the iconic markings of World of Warcraft's newest playable race. Bring the thunder of the Horde and Alliance rivalry to the far reaches of the Koprulu Sector with these two exclusive StarCraft II portraitsthe infested orc and the night elf Templar. Explore the vast library of artwork that went into the development of Mists of Pandaria. This 208-page hardback tome includes never-before-seen pieces from early concepts to final 3D renderings. Equip your gaming desk with this special edition mouse pad featuring Chen Stormstout, ready for battle. Meet the teams behind the creation of World of Warcraft's newest expansion with this Blu-Ray/DVD two-disc set. Enjoy over an hour of directors' commentary, insider interviews and developer roundtables that reveal how the continent of Pandaria came together from the combined efforts of artists, writers, designers, musicians and animators. Experience the music of Azeroth's newest continent with twenty orchestral pieces from the Mists of Pandaria soundtrack on CD. Ingat guys,gw cuma megang satu barang,so langsung aja di tarik dari tangan gw,hehe..